Hands up if you love your alone time (🙋🏻). Ah yes, that quality time to be all by yourself, free to be your weird and quirky self. Now hands up if you feel like you don’t get enough quality alone time. Maybe you do, but you find yourself wasting it or not using it to the full advantage. Are you letting that precious self-care time slip by? As somebody who feels more energized after I’ve spent some quality time alone, I think it’s super important to actually make the most of it. After all, it can be a rare occurrence to have a moment to ourselves away from work, other people, and responsibilities in general. When we finally get a moment to ourselves, even if it’s just a few minutes, how can we make most of this precious time? 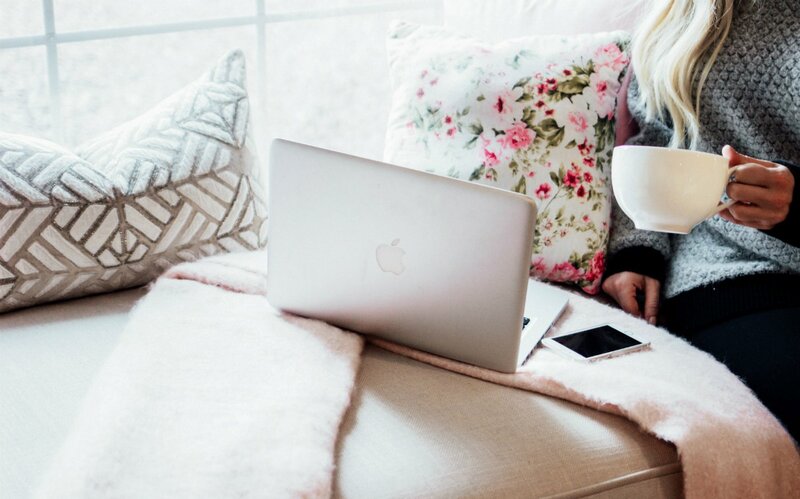 Today, I’m sharing three simple tips to maximize your “me” time and prioritize self-care. 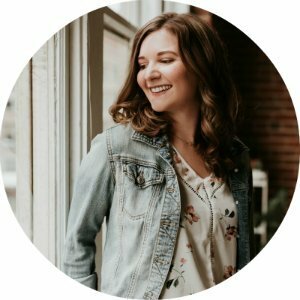 This post is for my fellow introverts who value alone time, but it’s also for those who struggle with alone time and prefer to be around other people. 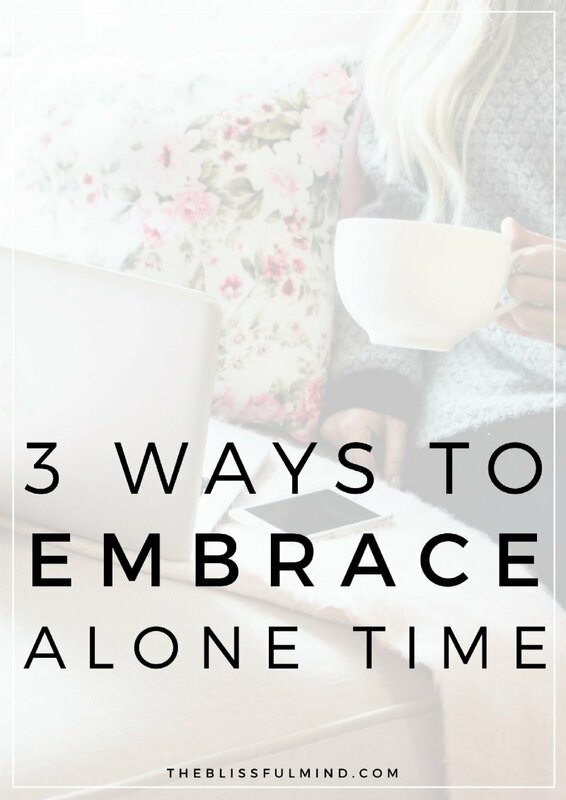 Let’s get into the tips to help you embrace alone time a little bit more! Just because one person loves taking a bath doesn’t mean that you have to do the same. Self-care is such an individual thing, so you have to figure out what works for you. After all, self-care should be relaxing, not a chore. Think about the types of activities that energize you or allow you to find moments of peace. 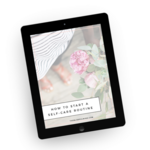 By knowing your ideal self-care practices, you can turn to these whenever you want to fully embrace your “me” time. 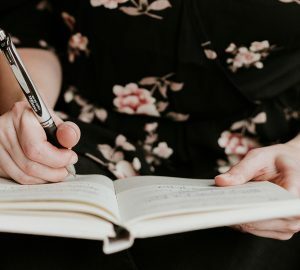 If you’re looking for examples of self-care practices, check out this post! If you find yourself with an unexpected free evening, you might not know what to do with yourself. That’s why I keep a list of all of the self-care practices I’d love to try when I have the time. The list might include journaling, reading a book I’ve mean meaning to check out, taking an online class, or cooking myself a recipe I’ve had bookmarked forever. If you keep a list of these things, you can pull it out whenever you have 15 to 30 minutes of downtime and check one thing off the list. This is a great way to not feel totally lost when you end up with some alone time. One of the best things I’ve ever read on the internet is a post from Jezebel where people share their strangest single people behaviors (or things they do when they’re by themselves). It’ll give you a good laugh and maybe even spark some ideas for your next “me” time sesh. It’s easy to start feeling like you’re missing out when you see what other people are doing on social media. You might be scrolling through Instagram and feel jealous when you see what your friends (or strangers) are doing while you’re at home by yourself. If you find yourself caught up in the fear of missing out, take a step back from social media. Instead, use your alone time to connect with yourself rather than worrying about what other people are doing. Prioritize your needs, not what you think you should be doing just because other people are doing it. There is absolutely nothing wrong with enjoying some quiet time by yourself, am I right? What are your favorite “me” time activities? 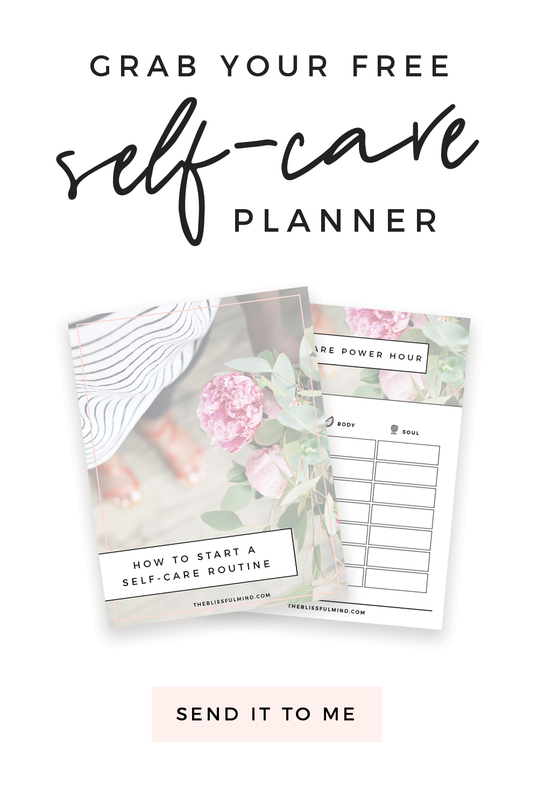 Learn how to create a self-care routine for your mind, body, and soul! This was such a wonderful post! I like what you said about keeping self-care personal. Taking a bubble bath may be amazing to some people, but for me, it would definitely feel like a chore. I’ve never been a bath fan, haha! Staying off of social media is essential…it can get toxic when you are on it too much! I love the tip about staying away from social media. It is so easy to get sucked into the fantasy of the “Instagram life”. Those things look great and make me want to do or see whatever it is everyone else is, but they distract me from whatever it is I really want to do. Sometimes I just want to be lazy in my bed and I don’t want to feel bad about it! 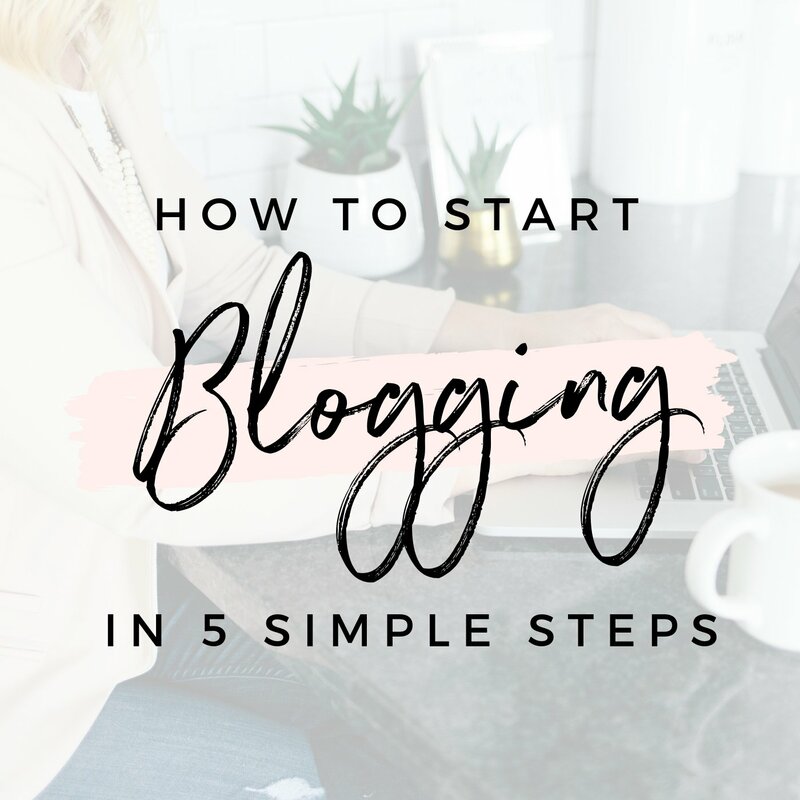 Great post and just what I needed! I especially like your thoughts on social media in relation to feeling anxious and falling into the comparison trap. Thanks for this! Making a wishlist is a wonderful idea! In the moment it is sometimes hard to come up with ideas. Depending on my mood, taking a leisurely shower while listening to a podcast, and then doing a face mask and pampering myself is something that relaxes me. Otherwise, a movie night with my hubby ! 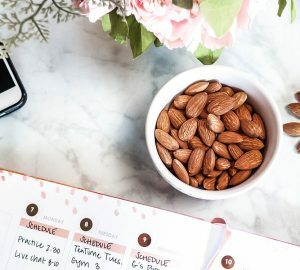 I love the idea of making a self-care wishlist! There are so many different things that I want to do in 2018 and making a wishlist of things to try when I have the free time or money. Hey Catherine! Although I have not read your blog for a long time, but I think you are charming! 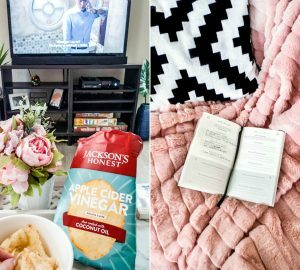 I also recently started the “me time” method and gave me lots of ideas and inspiration!